President Muhammadu Buhari, yesterday said that the global competitiveness of Nigerian engineers has reduced drastically due to the absence of an updated engineering curriculum, as well of the absence of critical engineering training infrastructure in institutions of learning nationwide. 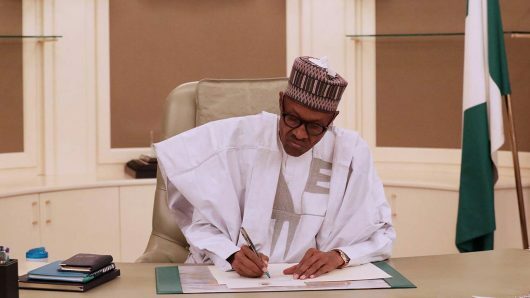 Buhari made the disclosure at the 27th Engineering Assembly of the Council for the Regulation of Engineering in Nigeria, COREN, represented by the Minister of Water Resources, Mr. Suleiman Adamu, said that Nigeria was in dire need of new engineering technologies to improve the country’s infrastructure development. He pointed out that the absence of infrastructure in most engineering faculties up to our universities, that complement theoretical teaching with practical knowledge, had created a wide deficit in the quality of Nigeria’s engineering products. According to him, of similar concern was the fact that Nigerians are victims of poor quality of service delivery by poorly trained and unqualified engineers, adding that wherever there was a collapse of infrastructure anywhere in Nigeria, it building or bridge, everyone is left to count the losses. “Similarly, the absence of up to date engineering curriculum to reflect the current global trends in engineering, has drastically reduced the competitiveness of our engineers. There is a deserving gap between engineers trained in Nigeria and those trained abroad. There is the need for our universities to turn out quality and world grade professionals,” he explained. He said, “New engineering technologies are also needed to improve services in agriculture, transportation and power sectors, particularly to revamp our power generation, transmission and distribution, as well as our metering system. Meanwhile, the President of COREN, Mr. Kashim Ali, commended the Presidency for the promulgation of Executive Order Number 5, which gives preferences to indigenous firms in the award of contracts, stating that it was an indication that the Federal Government now believes in the ability of indigenous practitioners. According to him, with this Executive Order, the ball was now in the court of the Nigerians engineering practitioners to prove that they are competent and bale to execute projects that meet international standards. He, however, noted that over the years, it had been observed that certain lacuna exist in the Engineers (Registration) Act CAP E11 of 2004, which vests powers on COREN to regulate the practice of engineering in all aspects and ramifications. According to Ali, this lacuna in its Act had served to hinder the optimal performance of COREN, especially in the area of enforcement, prosecution of quacks and inadequate sanctions for offenders among others.